Volume 23 #2 of China Review International begins with two featured reviews and a response, along with 20 more reviews of scholarly literature in Chinese studies. …plus 15 more reviews and works received. Every quarter, China Review International presents timely, English-language reviews of recently published China-related books and monographs. Its multidisciplinary scope and international coverage make it an indispensable tool for all those interested in Chinese culture and civilization, and enable the sinologist to keep abreast of cutting-edge scholarship in Chinese studies. Individual and institutional subscriptions available through UH Press. China Review International publishes reviews of recent scholarly literature and “state-of-the-art” articles in all fields of Chinese studies. Reviews are generally published by invitation only; however, unsolicited reviews will be considered for publication based on merit and guidelines can be found here. 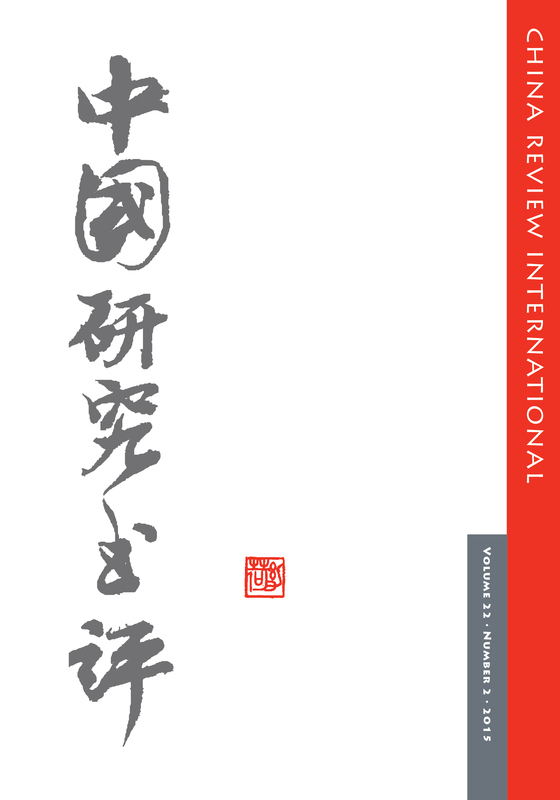 Volume 23 of China Review International begins with four featured reviews and a response, along with 15 more reviews of scholarly literature in Chinese studies. …plus 10 more reviews and works received. This double-issue issue of China Review International arrives with two features and more than 20 reviews of scholarly literature in Chinese studies, including seven reviews of University of Hawai`i Press books.